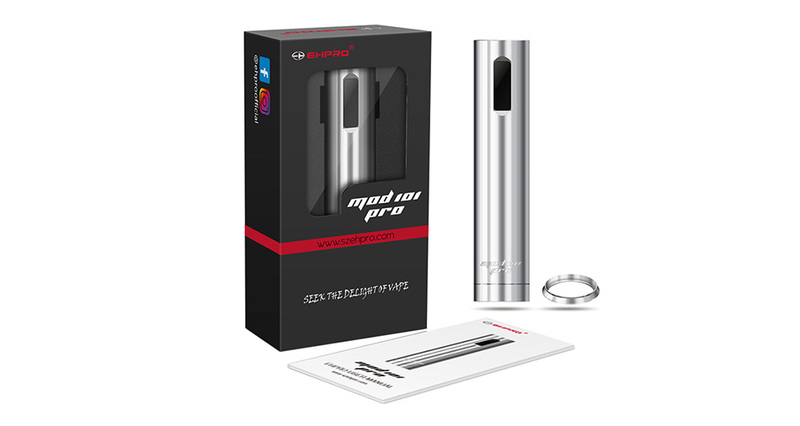 Ehpro 101 Pro 75W TC MOD – E-CIGARETTES.CA INC.
We proudly introduced the Ehpro 101 Pro TC MOD. 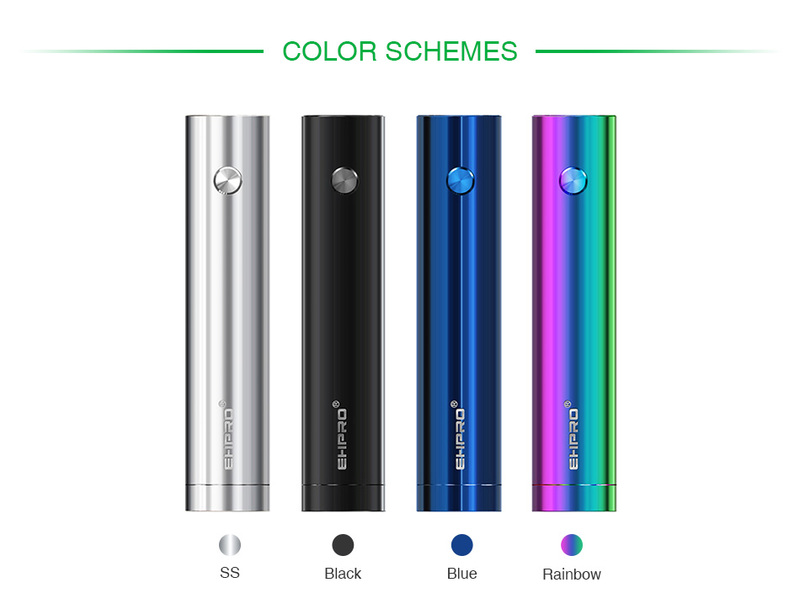 Inherited form Ehpro MOD 101, the MOD 101 Pro is a newest pen-style TC MOD with various protections. 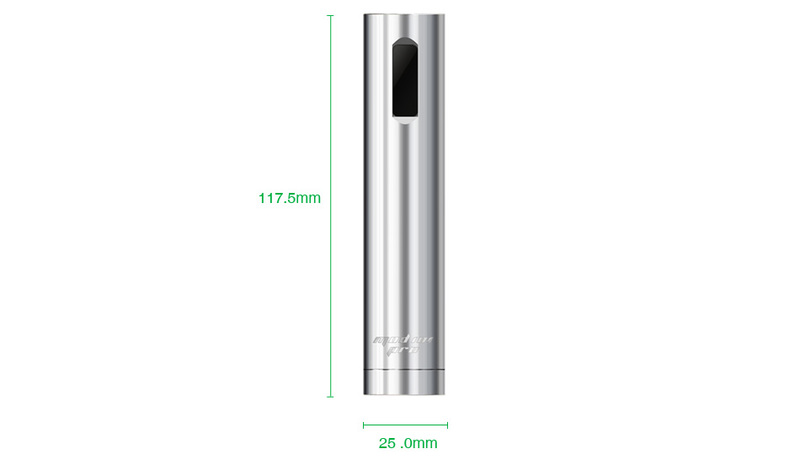 Powered by single 21700/20700 or 18650 battery with an adaptor, it can fire up to the max output of 75W with VW/TC/Bypass mode. 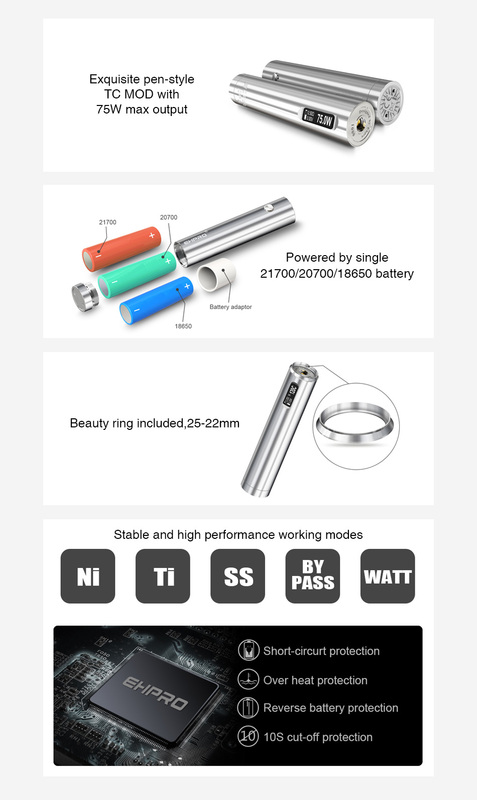 With the user-friendly one button design and the 0.69 inch OLED display, it would be very easy to operate the 101 Pro.